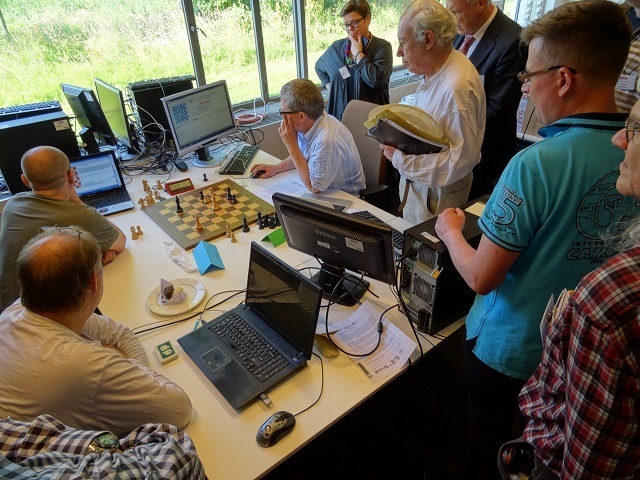 21st World Computer Chess Championship 2015, from June 29, to July 03, 2015, Snellius Building  , Leiden University, Leiden, The Netherlands, in conjunction with the WCSC 2015, Advances in Computer Games 14 , and the 18th Computer Olympiad. 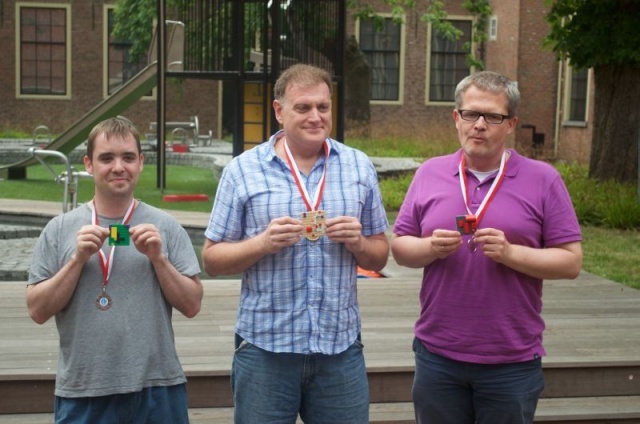 Jonny, by Johannes Zwanzger, brought home the gold on the 2400 core cluster, thanks to upset victories against Komodo in round 5 and HIARCS in round 9. 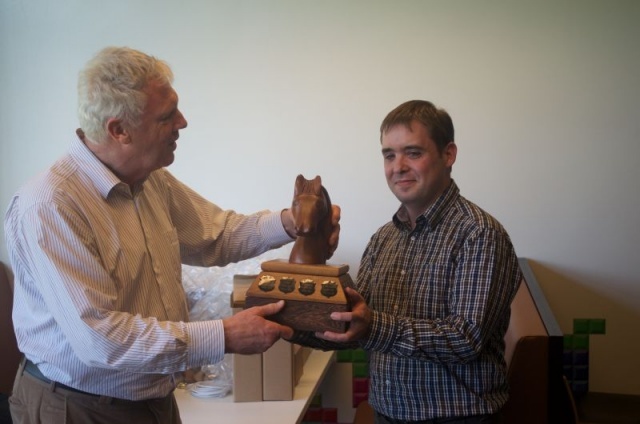 Komodo is second and third place is shared by Hiarcs and Protector . 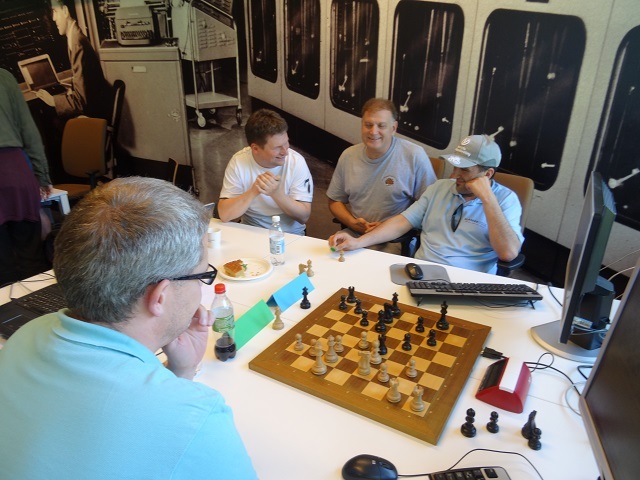 But a few moves later with a croud of spectators including Jaap Bus, Mark Watkins and Ulf Lorenz watching, ..
... Harvey had to resign, and Jonny is World Computer Chess Champion 2015! 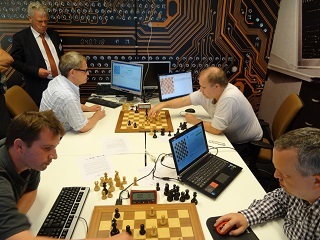 This page was last edited on 30 June 2018, at 06:19.